BENIN CITY, December 9, 2018. 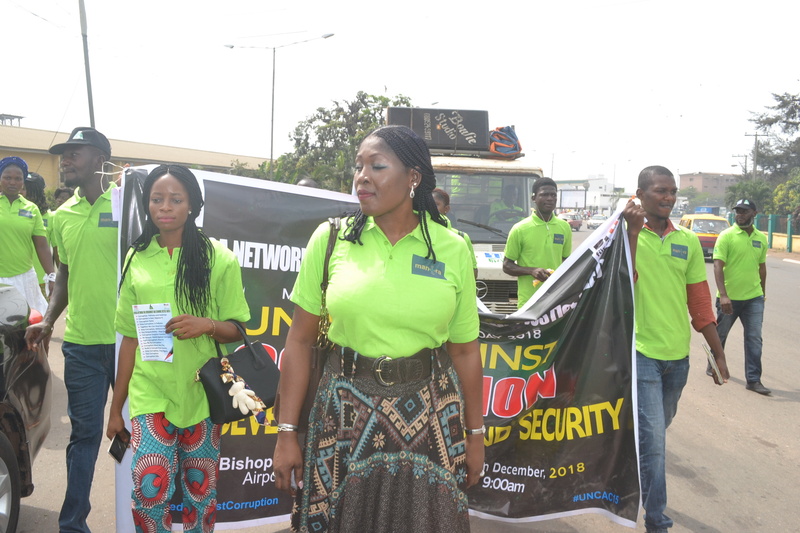 On the occasion of this year’s World Anti-Corruption Day, the Africa Network for Environment and Economic Justice, ANEEJ has called on Nigerians to deepen the search for innovative ways to change the norms fuelling corruption in Nigeria. ANEEJ Executive Director, Rev. David Ugolor interviewed by Pressmen during the World Anti-Corruption Day 2018 event in Benin City. “We seek to use the World Anti-corruption day to address serious issues of corruption threatening the very existence of our nation. This has become necessary as citizens have continued to suffer from deplorable infrastructure, increasing poverty, insecurity, unemployment and poor health, in a difficult economic terrain. Apparently, we are a democratic country, but some public office holders saddled with the responsibility of managing our resources to improve citizens’ lives, misuse such power for their personal gains, a situation that is fast turning a vicious circle, which in our considered view is unacceptable. If the majority section of our society will continue to live in deprivation and poverty and will not find any employment opportunity, crime rate will continue to be a major challenge in our society. Poverty will destroy people’s ethics and morals and would result in an increase in crime and corruption amongst the people. We need to be resolute in combating corruption and forge new ways of doing so. “The spate of corruption has widened the gap between the haves and have-nots, and a clear example of corruption in our country is where one section of society acquires so much wealth at the expense of about 87 million Nigerians living below the poverty line. It is no longer news that an estimated $1 billion USD Illicit Financial Flows, escapes the shores of Nigeria, every year, unaccounted for. Moneys that should be used for the upliftment of poor people is gobbled up by self-seeking politicians and public office holders most of whom are able to circumvent justice. People who are not affluent and cannot bribe the people in power are deprived of certain benefit and can only buy their way to get their work done. The demand for bribe before services are rendered has become a norm across the country.” Ugolor said. “Following the return of $322.5million loot by the Swiss government, in December 2017 ANEEJ is Monitoring the recovered Assets in Nigeria through Transparency and Accountability in the recovery and Management of looted assets (MANTRA) project, which is being supported by the UKAID. ANEEJ is working with six partners drawn from the six geopolitical zones to monitor the use of the Abacha loot in the Conditional Cash Transfer Programme (CCTP). Our involvement in monitoring the Abacha loot is built on the fact that we were part of the MoU between Switzerland and Nigeria for the repatriation of this tranche of Abacha loot. This level of recognition given to a civil society organisation in an agreement between two sovereign states is unprecedented and first of its kind globally. 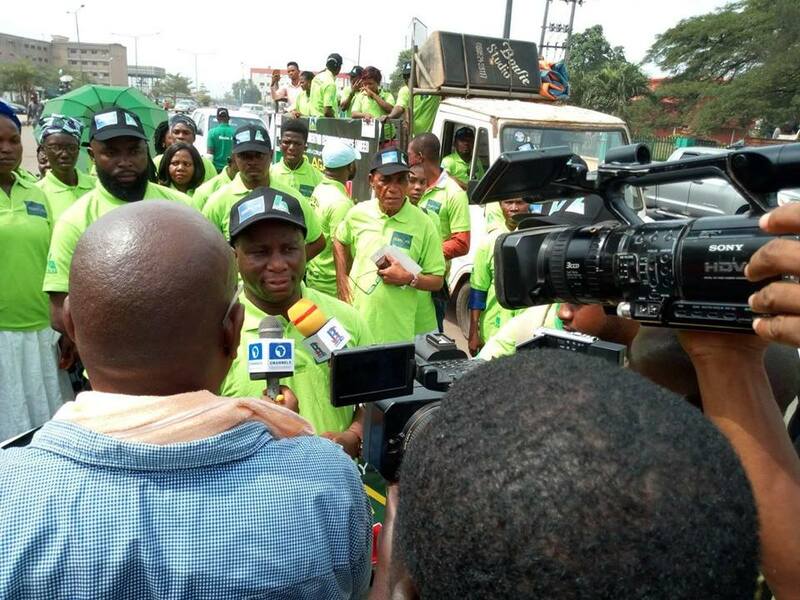 We therefore have a unique opportunity to demonstrate the benefits of having civil society deeply involved in the fight against corruption, not only in Nigeria, but globally. “To this end, we have deployed over 500 Field Monitors, Eleven Supervisors and 22 Deputy Supervisors drawn from members of the Nigerian Network on Stolen Asset (NNSA) and other Civil Society Organisations across the Country to Fact-Check the Conditional Cash Transfer (CCT) to the Poorest of the Poor in eleven states, with the hope of covering more states in subsequent exercises. As it were, beneficiaries of the returned looted assets are under the Social Investment Programme of the Federal Government. With support from the UK Government and the cooperation of the National Cash Transfer Office (NCTO) as well as the National Social Safety-Net Coordinating Office (NASSCO), the MANTRA Project will continue to monitor the Cash Transfer Programme nationwide,” Rev David Ugolor stated. “We are also engaging and supporting the Assets Recovery and Management Unit (ARMU) to strengthen their operations and for them to have a legislative backing by an Act of Parliament. Under the Open Government Partnership which ANEEJ is Co-Chair of the anti-corruption Sub-Committee, we are engaging and supporting the Anti-Corruption Bills Advocacy Group for the speedy passage of the Proceeds of Crime Bill, Whistle Blowers Protection Bill among others before the end of the tenure of the current National Assembly.” adds Leo Atakpu, ANEEJ’s Deputy Executive Director. “Demonstrating tangible and specific uses of recovered assets in ways that benefit ordinary Nigerians is vital to secure and retain the goodwill of Nigerians for anti-corruption efforts in the country, especially in the rather murky area of asset recovery. The operation of these pieces of legislation we are pushing for will help provide the legal and institutional framework that would ensure transparency and accountability in the recovery and utilisation of looted assets in Nigeria.” Atakpu stated.